I love appetizers. There’s just something about getting small tastes of something yummy that makes you hungry for more. Know what I love even more than appetizers? Mexican appetizers. Who’s with me? Whether you’re hosting friends for a game night or putting on a full-out fiesta, you need some good Mexican party food ideas. 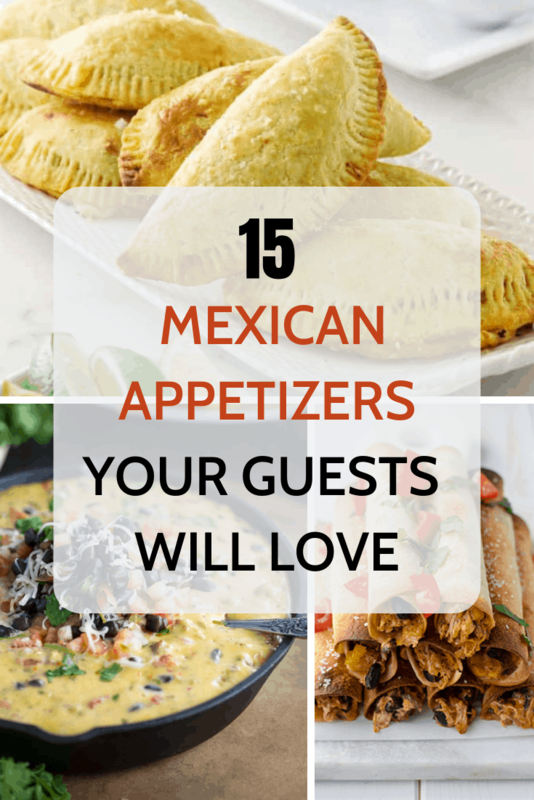 That’s why today I’ve collected 15 of the web’s best Mexican appetizers to share with you. And while a couple of these may be what you’d expect (Hello, Salsa and Queso. We can’t live without you. ), you’ll love the wide variety of ideas in this list. Download a Dinner Party Checklist to take the stress out of your next get-together! 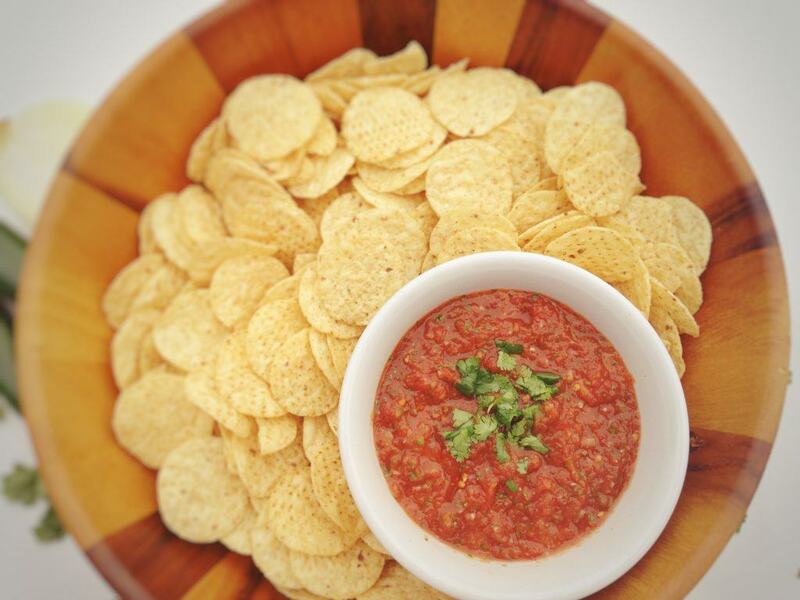 You can never go wrong with chips and salsa. Never. Thankfully, you can make this restaurant-quality salsa in 5 minutes flat! 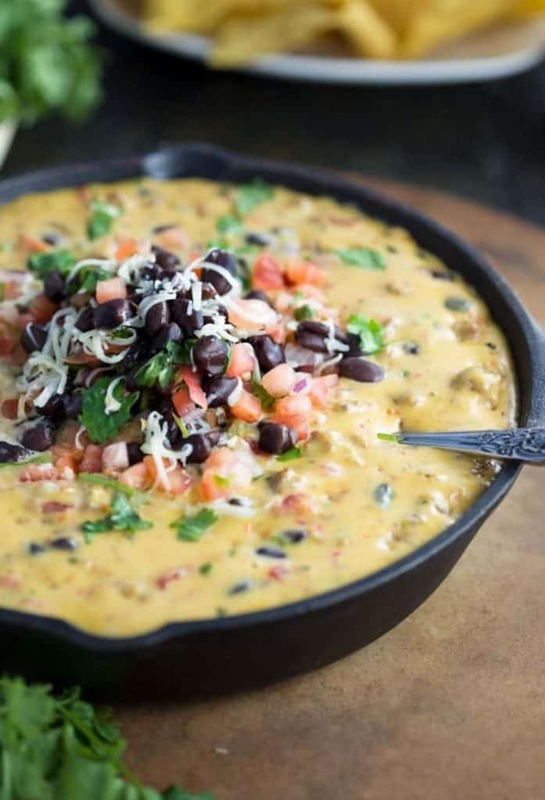 This queso with black beans and fresh tomatoes is a delicious way to start a Mexican meal. Who needs Velveeta and Rotel? 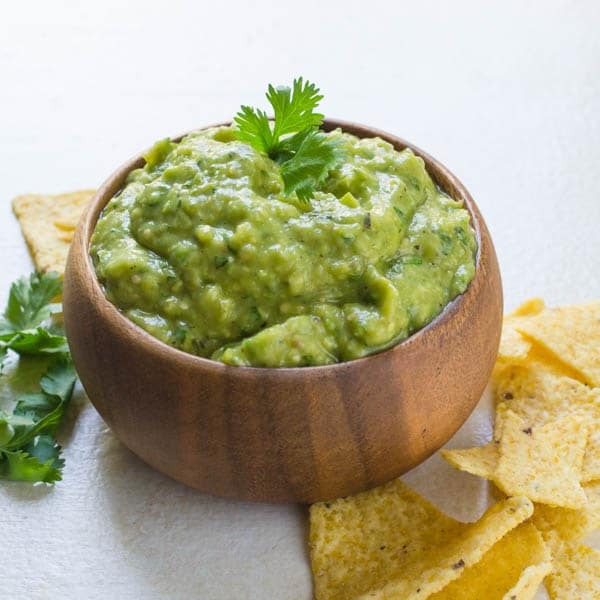 A mix between salsa and guacamole, this avocado salsa can stand alone with a bowl of chips or would make a great dip for several of the other appetizers below. 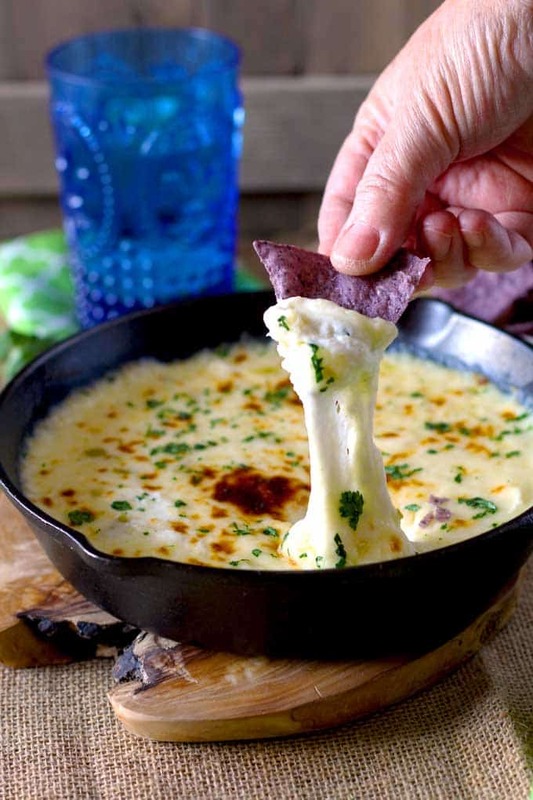 With both Monterey Jack and goat cheese, this queso is the perfect gourmet appetizer for your next get-together. 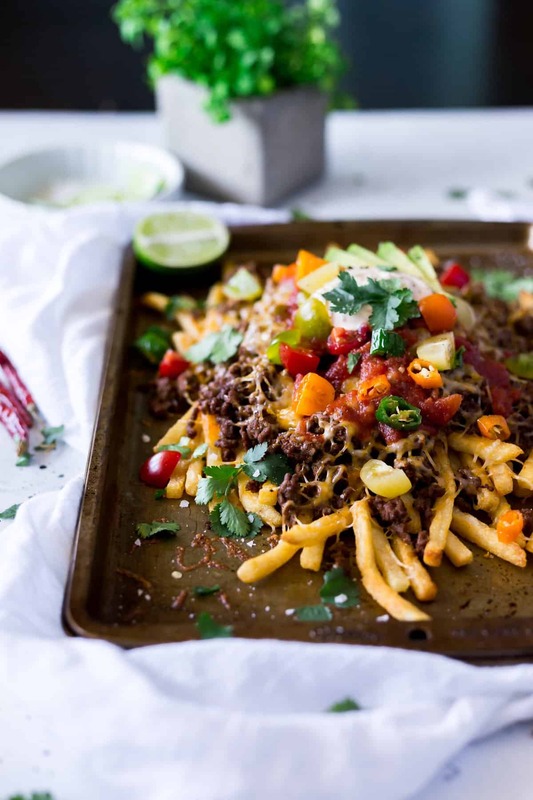 With all of the toppings of nachos, these fries are a perfect shareable appetizer. If you like cheese fries, you’ll love Nacho Fries. 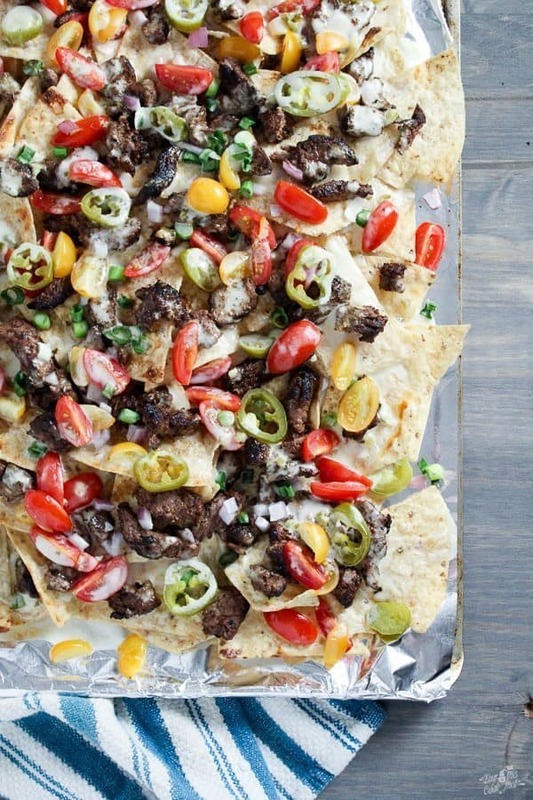 What makes these nachos special is the marinated meat. Add some grilled peppers and onions, and you’ve got a full meal! 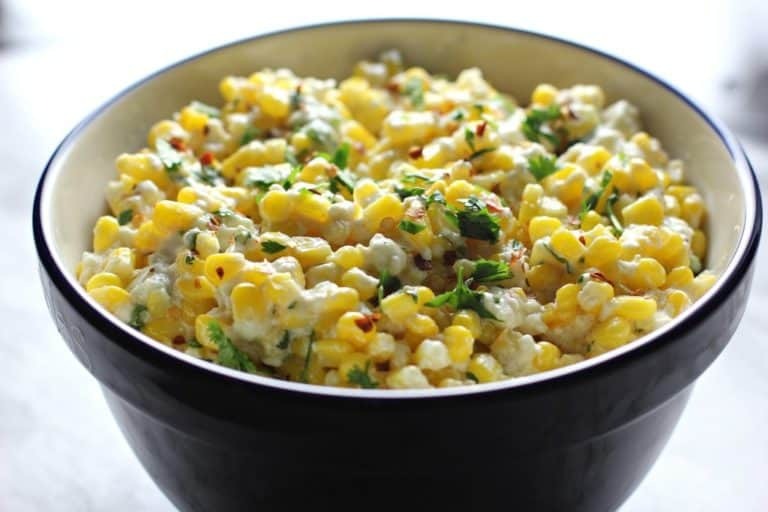 With mayonnaise, feta cheese and lime juice, this salad has all the flavors of Mexican street corn. Fresh and delicious! Um…if you make these for your next party, invite me, okay? 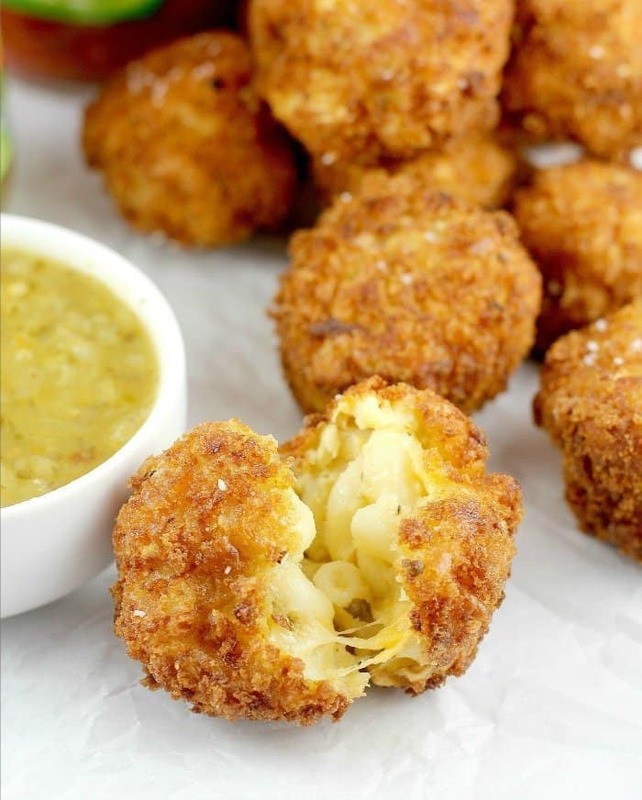 These fried macaroni balls look like a fun and creative appetizer! 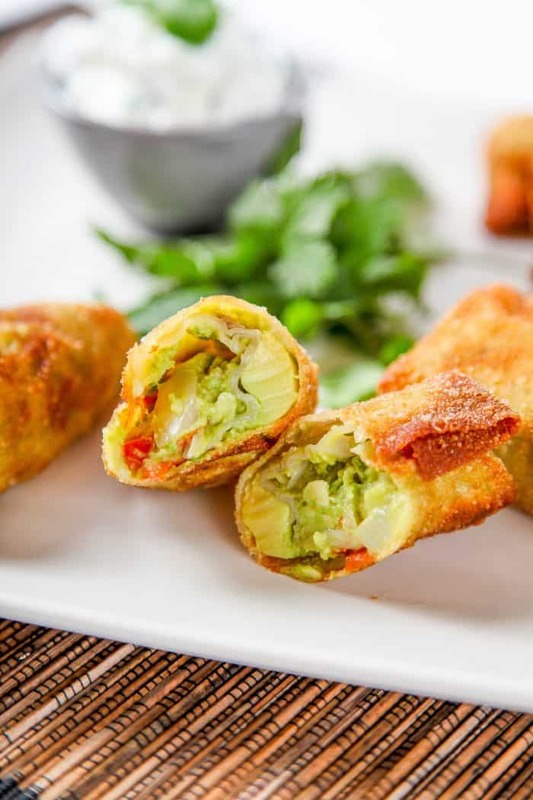 With fresh avocado hiding inside, these egg rolls are delicious. Your guests will love dipping them in cilantro sauce (which is included with the recipe). 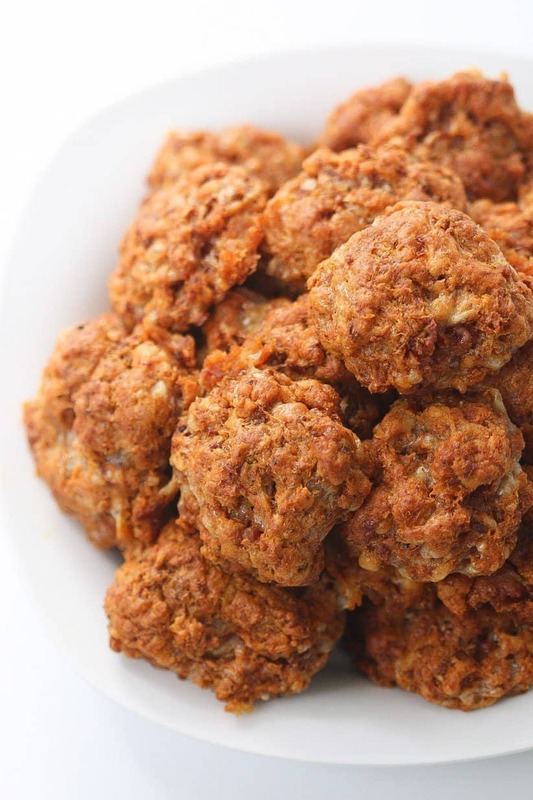 These easy meatballs are made from guava paste and barbecue sauce. So yummy! 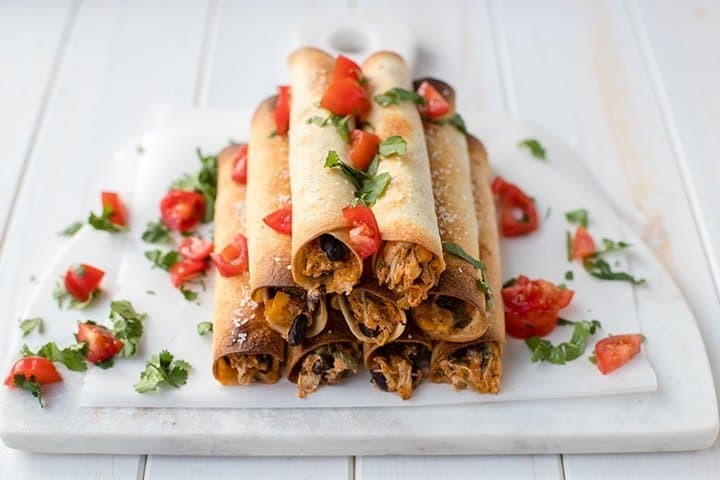 Everyone loves a good homemade taquito — they’re so much better than store-bought. Enjoy this chicken and black bean version! 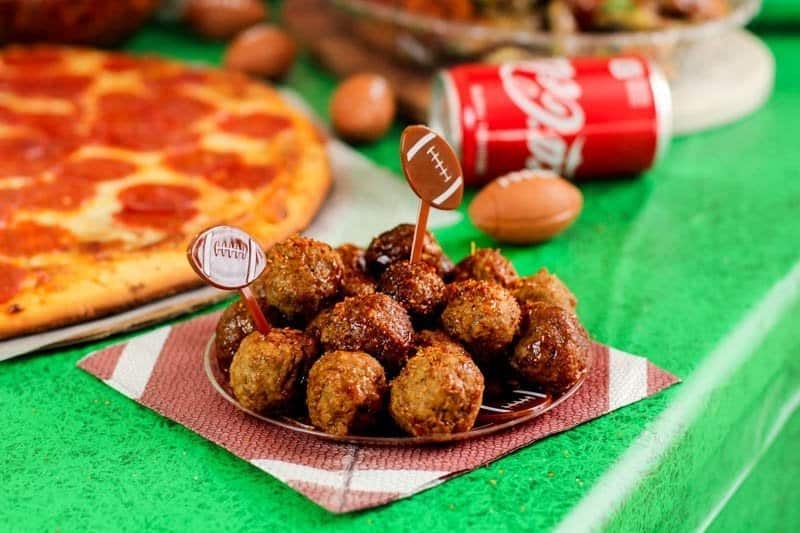 These aren’t your momma’s sausage balls. 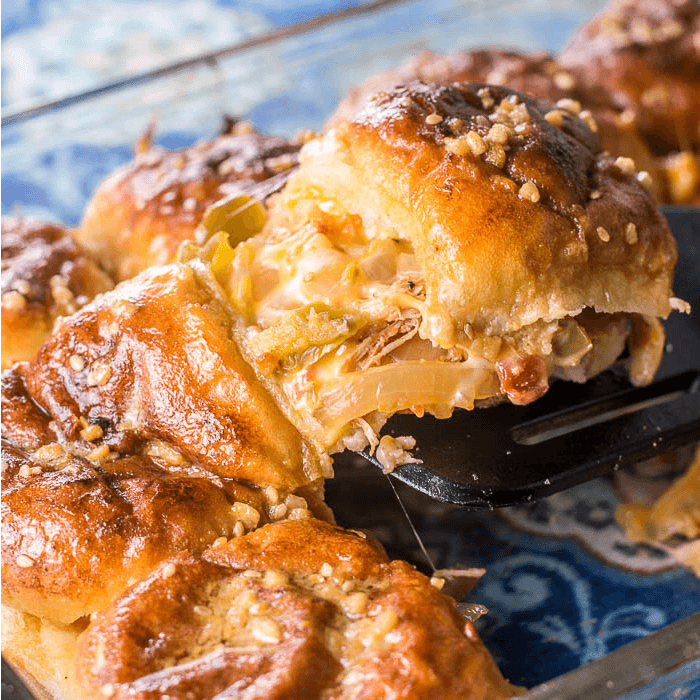 Made with chorizo and a jalapeño baking mix, they have a Mexican twist! 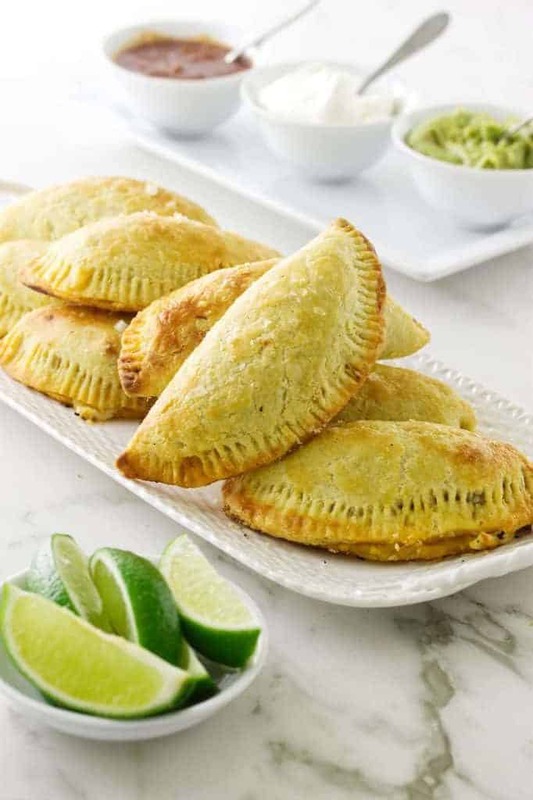 With a flaky crust and a spicy pork filling, these homemade pork empanadas are sure to impress. Serve them with salsa, guacamole, and sour cream. 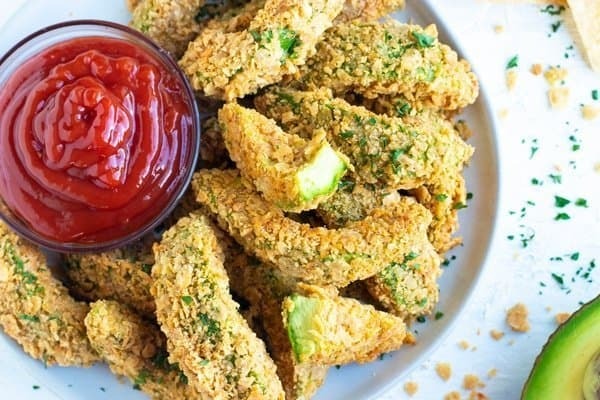 Avocado…fries? Yes. Don’t knock them until you try them. Crispy on the outside and creamy on the inside = perfection. 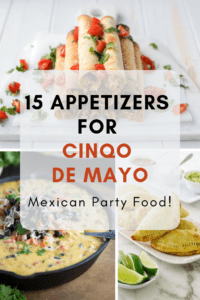 When it comes to planning appetizers for your next Mexican party, you can’t go wrong with any on this list. From dips to sliders and taquitos, you’re all set for your next get-together. Which one will you try? Don’t forget to download your FREE Dinner Party Checklist below! 42 of the Best Homemade Charcuterie Board Ingredients! Oh wow! I could eat appetizers and finger foods all day long. Actually, sometimes I do 🙂 Great roundup of party foods. Thanks for including us. Me, too! Appetizers are my favorite. 🙂 And you’re welcome! I have seldom felt like inviting anyone over for dinner – until now – when I realize that’s mostly because I have had no idea what to make. Now I have a theme, enticing recipes, enough variety to please everybody – and I can serve it all casually as an appetizers meal. Thank you for the inspiration! That’s awesome, Gael! You’re welcome! Wow what a roundup! Thanks so much for including my mac n cheese balls! You’re welcome, Erica! I seriously cannot wait to try them! These sound so delicious! I will probably be making at least one of them for Super Bowl! Yes, Mexican is definitely one of my go-tos when hosting!